It’s been almost a month since my last post. Travel burnout sort of led to writing burnout. Finding the time to write is a constant challenge with the logistics involved with travel. I have been focusing on my new hobby of trail running, which I find amazingly satisfying. I have been sleeping better and sleeping longer, a habit that has helped me recover from the first 50 years of my life. I have also been spending a little more time cycling, which usually takes the greater part of a day. Habits, they take time. 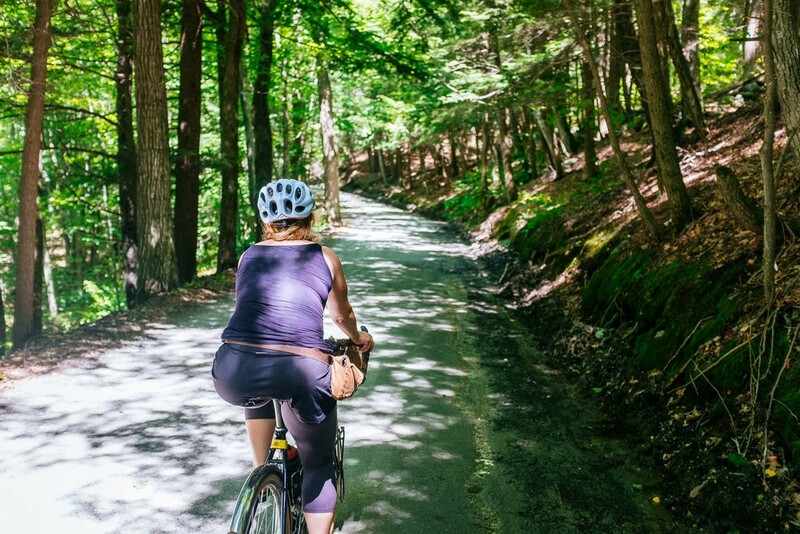 Cycling through the steep hills and sweet valleys, it is quite clear that the “V” in Vermont must stand for “vertical.” As a bonus, most roads are unpaved making cycling in this tiny state not only a physical challenge, but also a mental one. 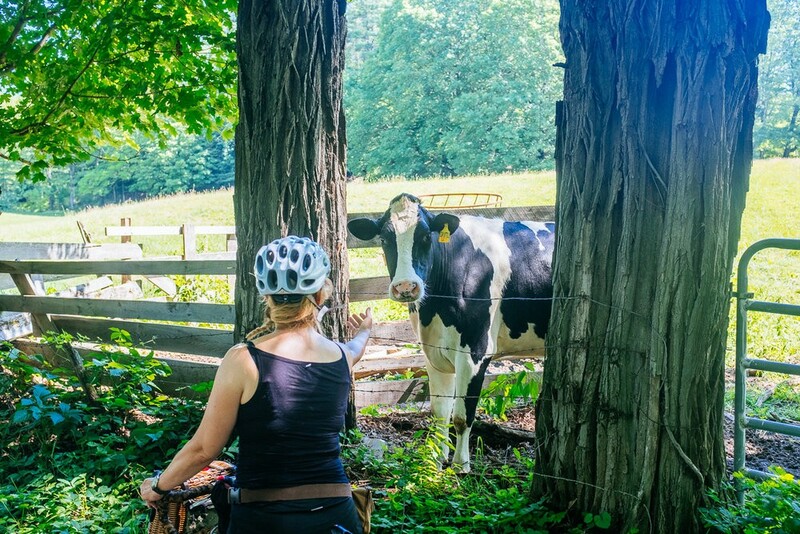 If you think you are a strong cyclist, give Vermont a try. I dare you. 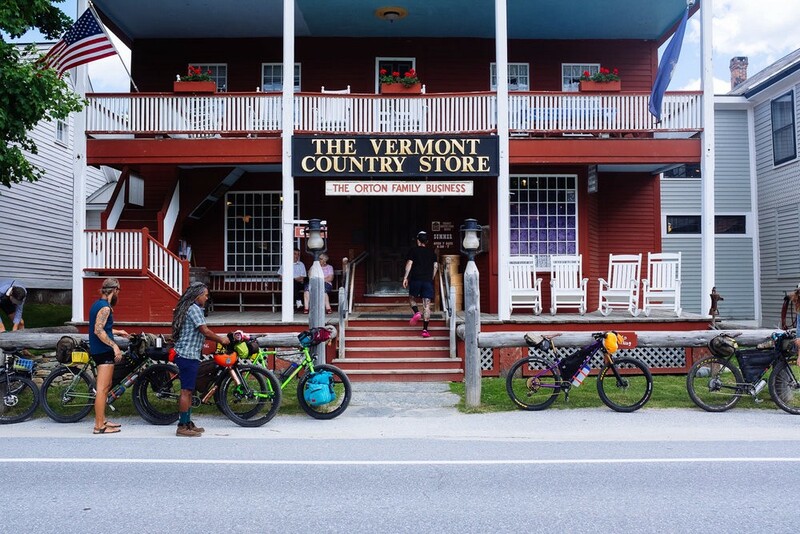 John had planned a group bike ride that would run the length of Vermont, South to North. So we needed to set up base camp, a slight challenge because of the upcoming 4th of July weekend and the limited availability at RV parks. We parked the Airstream in Brattleboro, a tiny town in Southern Vermont along the Connecticut river and near the New Hampshire border. It’s main claim to fame is a very good grocery Co-op, which was like a candy land for health food, but also quite expensive. We ended up finding other great produce options at Farm stands closer to our RV park. Being lucky to be there in late June, we also enjoyed delicious local strawberries and some great unique varieties of kale. The scenery in Summertime, as you might imagine from the French derivation of the word Vermont, “Vers Monts” or “Green Mountains”, does not disappoint. 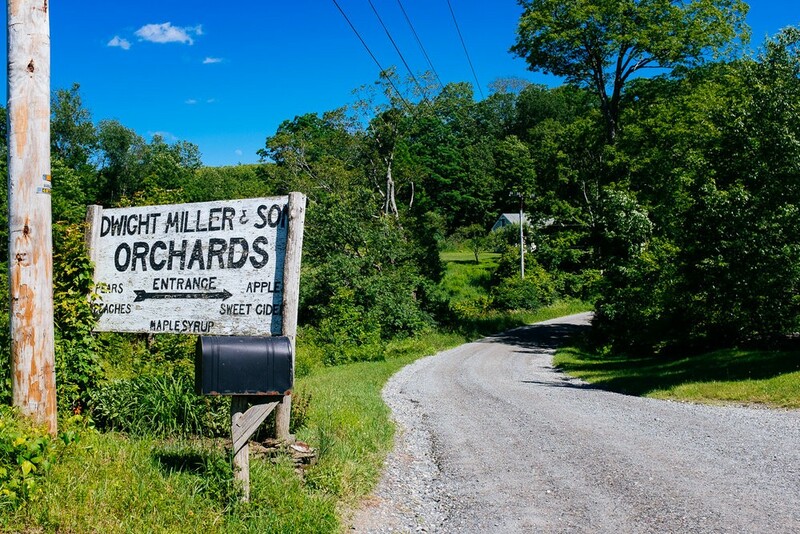 The roads weave through beautiful farms, lush tree canopies, and vast fields giving way to brief vistas over a pleasantly repetitive stream of valleys. Cycling in Vermont always includes at least one climb up a hill so steep that your legs burn and tremble like they are about to give way. The hills are relentless, ambling and winding and around every turn there just seems to be more and more hill. The eventual reward is a brief dappling descent into one of the many villages, each with a small grocery, one or two tall spired churches, and obviously, a place to buy ice cream. 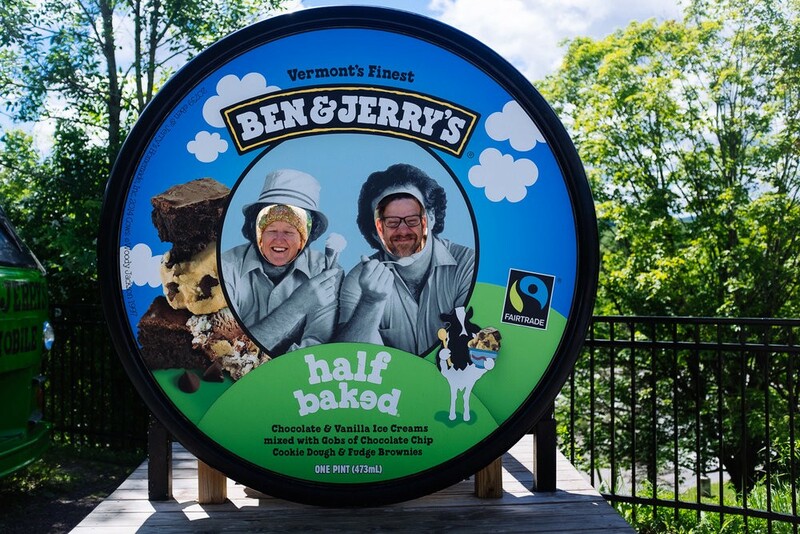 Off in the distance, Vermont’s finest dairy cows stand proud and perfectly placed in the rolling hills as if lifted from a Ben & Jerry’s label. Vermont is the second least populated state in the nation. I am told the terrain keeps people communally bonded within their tiny villages. Between October and May, the roads are not maintained by any governmental entity so I imagine there’s a certain amount of collaboration that has to occur so nobody goes hungry or freezes to death. And so we were surprised to find the vibe of the people to be a little on the cool side. 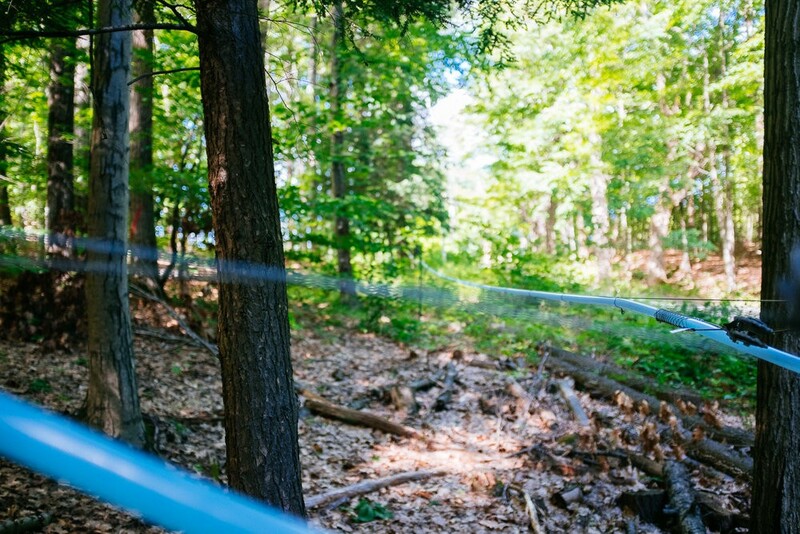 In a way, it’s quite ironic given that actual pipelines of maple sap are literally strung through the tree canopy. 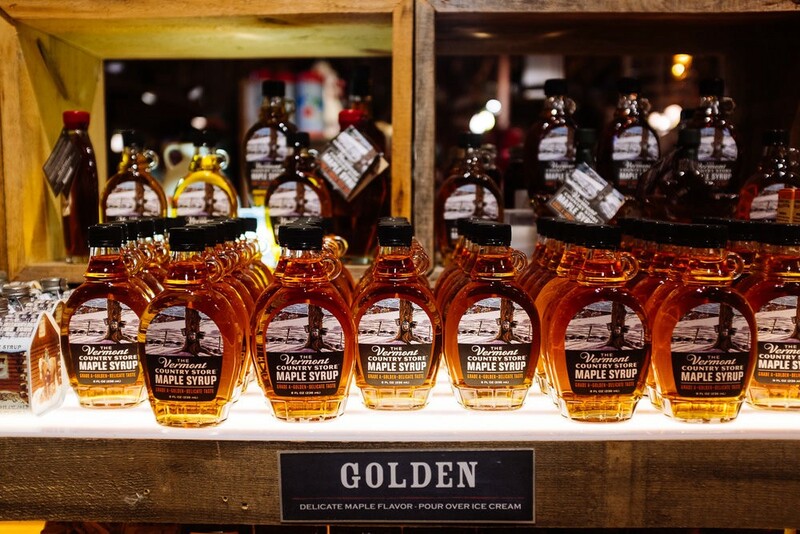 Strapped to the tree trunks, these lines merge into quaint and homey “Sugar Shacks” where the sap is reduced to about 40 percent of it’s original volume into deliciously sweet maple syrup. But it does not stop there. Vermont’s finest sweetener is so ubiquitous that you can literally buy it everywhere including gas stations, liquor stores, even the hardware store. Still, we couldn’t let go of the paradox of a bunch of sheepish introverts living in a state where sweetness literally oozes out of the trees. Example One We crossed a covered bridge and two people were standing on the other side. We approached them on our bikes. Neither one of them looked up at us. Not even once. Finally as they walked toward us, we said “hello” and they gave us exactly one nod of the head and then passed us by. I suppose technically, they had acted neighborly. Example Two. We were cycling along a path near the river. A group of three young adults approached us in the opposite direction. As we passed them, we said “hello” and not one of them responded to us, instead, just passed us by. “Hello fellow Earthlings” we yelled back at them. Example Three. 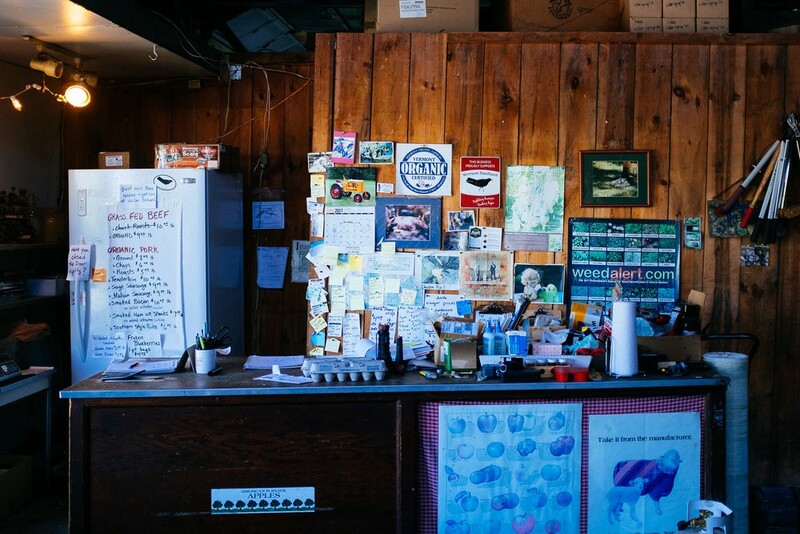 I walked into three different stores in the tiny downtown corridor of Brattleboro, Vermont, and not one time did the person, standing alone at the counter, say hello to me. I have also been told that the people in Vermont want to be left alone. But given their cool disengagement, I guess I wouldn’t want to be stranded there in the winter. I heard sometimes it gets literally too cold to snow. Many of the roads lack road signs. I got lost trail running due to poorly marked trails and lack of cell phone signal. Inside Dwight Miller Orchards. Not pictured behind you is the entire room of maple syrup in various stages of development. But I suppose it’s not always fair to limit my view of Vermonters to what could be merely a coincidence, because our friends had quite the opposite experience. After a challenging day of cycling, they found themselves lost, without cell phone coverage and stranded from their group, so they knocked on a door and the guy who answered offered to help. He loaded their bikes in his truck and gave them a ride up to where their friends were camping. But I keep thinking about what that colleague had told me about Vermont, about the little communities that bind together. I wonder if I stayed there longer, I might find a way to have a conversation with someone. But I also wondered if I stayed there longer, I might just want to be left alone. 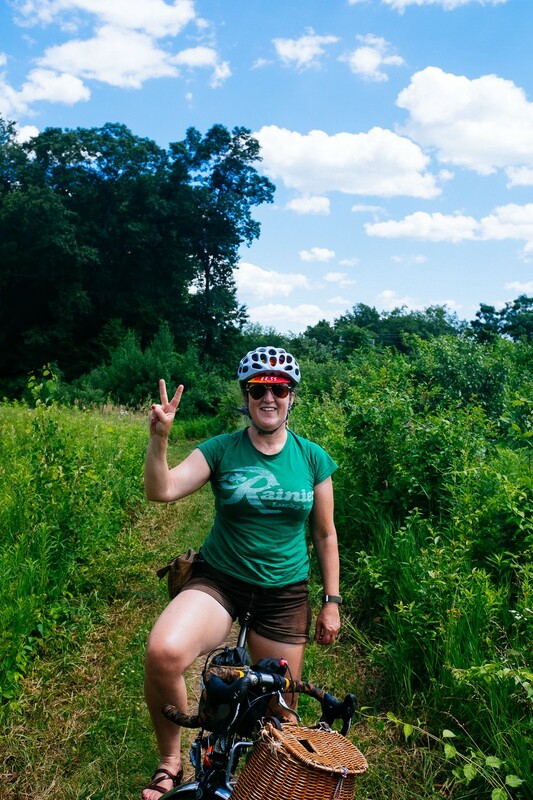 Me actually having fun on a trail on my bike. Maybe it’s just the love I have for my hubby.